Hunt was released by the Chiefs during the season and is currently on the commissioner’s exempt list. 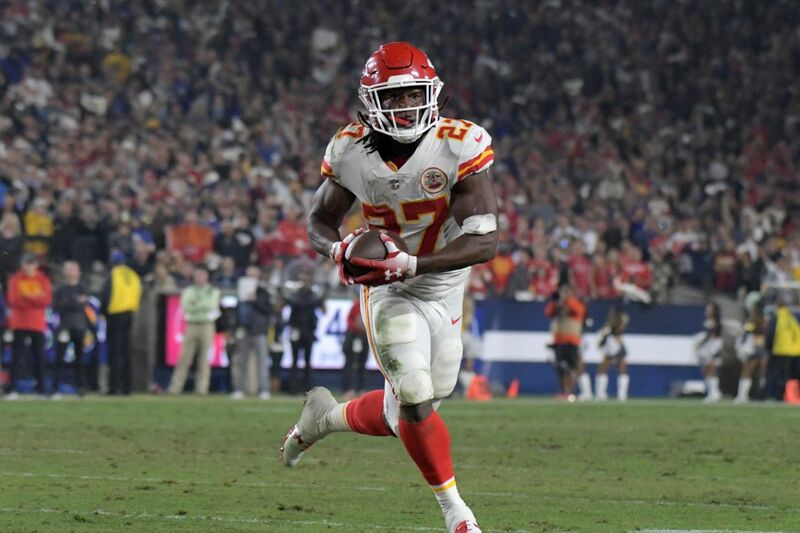 The Browns made headlines on Monday when they signed former Chiefs running back Kareem Hunt to their team. The 23-year-old Hunt is currently on the commissioner’s exempt list stemming from an assault on a woman last year that was caught on camera. ESPN’s Adam Schefter reported that Cleveland will be giving Hunt a one-year deal and that he’ll be a restricted free agent in 2020, which means the Browns will still own his rights before the 2020 free agency period. What did the Browns say about signing Hunt? Dorsey expanded on why he believes Hunt deserves a second chance at a Monday afternoon press conference. Dorsey acknowledged that they did not contact the woman from the hotel that Hunt was seen pushing and kicking in the video. He also said that Hunt would be under a “zero-tolerance” policy with the team. “This happens to be one of those situations where at the end day, the organization was comfortable moving forward with signing this player,” Dorsey added. He mentioned he believes the NFL will rule on Hunt’s punishment in the coming weeks. The former Pro Bowler is facing a lengthy suspension once he’s cleared from the league’s exempt list. What’s the status of the NFL’s investigation? The incident that was caught on video isn’t the only incident that Hunt has been involved with over the past year. Hunt was accused of assault for an incident at a nightclub in January of 2018, but he was not arrested or charged. But the NFL can still hand out punishment to players even without arrests or charges. The league’s investigation into Hunt is still ongoing. It did not interview him after video emerged of the incident with the woman at the hotel, but it has interviewed him since. Before the Super Bowl, NFL commissioner Roger Goodell addressed Hunt’s situation. The NFL’s baseline policy for these situations is a six-game suspension, but Hunt could be facing a longer suspension due to two separate incidents. The league has been inconsistent in how it’s applied punishment to players, though. While Hunt is on the commissioner’s exempt list, he isn’t allowed to practice or play games with the team. However, he will be allowed to go to meetings and work out with the team as they get ready for the upcoming season. Hunt won’t count against the 53-man roster while he’s on the exempt list.